The weather continues to vary greatly this year: from wet & windy in the first race, to warm and sunny with a slight breeze in the second, to scorching in the third. What next? The conditions didn’t make for fast running although on age category record was set. 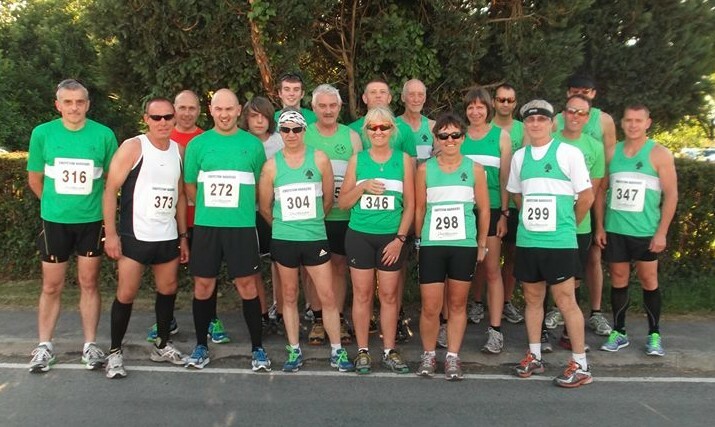 There was a very good turn out from Forest of Dean AC, with 18 runners starting. First to finish was John Russell, 18th in 42:22 followed by Leyton Fleet: 19, 24:29 and Jools Boon: 23, 24:43, his 3rd successive pb. First lady was Stef Francis in 33:59, followed by Claire Morgan 34:52 and Bev James 37:49. Other results: Marcus Bennetto 25:35; Mark Mathews 25:40; Mark Blake 26:09; Richard Powles 26:18; Alan Robertson 28:05; Rob Freeman 28:50; Chris Moore 29:16; Callum Francis 30:41; Roger Morgan 30:43; Michael Marks 31:21; and Graham Bennetto 33:31. Ian James pulled up injured.